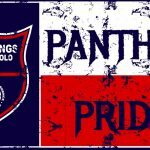 Boys Varsity Swimming and Diving, Girls Varsity Swimming and Diving · May 9 Heads Up Hartwick! Heads up Hartwick, there’s a Panther on the PROWL! 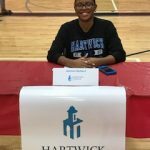 Jianna Herbert has signed her National Letter of Intent to swim for the Hartwick Hawks in New York! The versatile swimmer is taking to the fashion capitol of the United States to follow her passion for fashion and her desire to swim on the collegiate level.